Not your typical desert resort, Omni Montelucia takes guests on a magical journey through Spain’s Andalusia region. 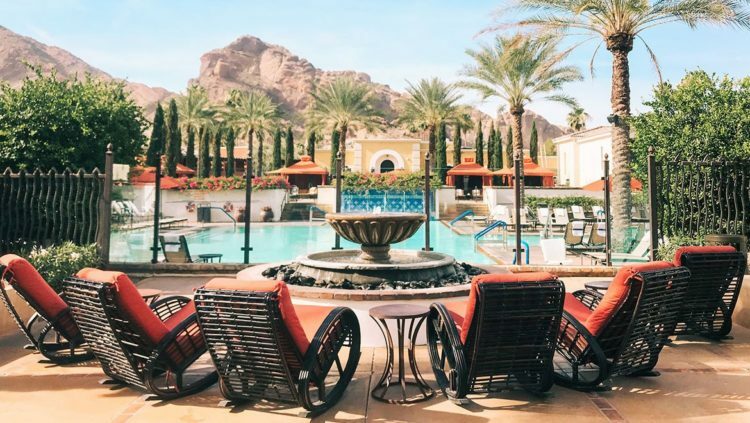 Located at the base of beautiful Camelback Mountain, the five-star resort is decked out with magical walkways, blooming florals and arched entryways. The Moroccan-inspired Joya Spa is reason enough to visit, while Prado tempts tastebuds with Spanish flavors. Three stunning pools, luxe cabanas, six dining outlets and a convenient location to all of Scottsdale’s action, make this resort a must visit. For the latest resort happenings, seasonal specials and more at Omni Montelucia, click here.